Attention everyone, Valentine's Day is around the corner! Especially for this occasion, we set up a collaboration with the well-known Belgian underwear brand Mc Alson. If you're not yet familiar with this brand, you can check out this earlier post of us about it. To celebrate love, we want to do a GIVE AWAY! 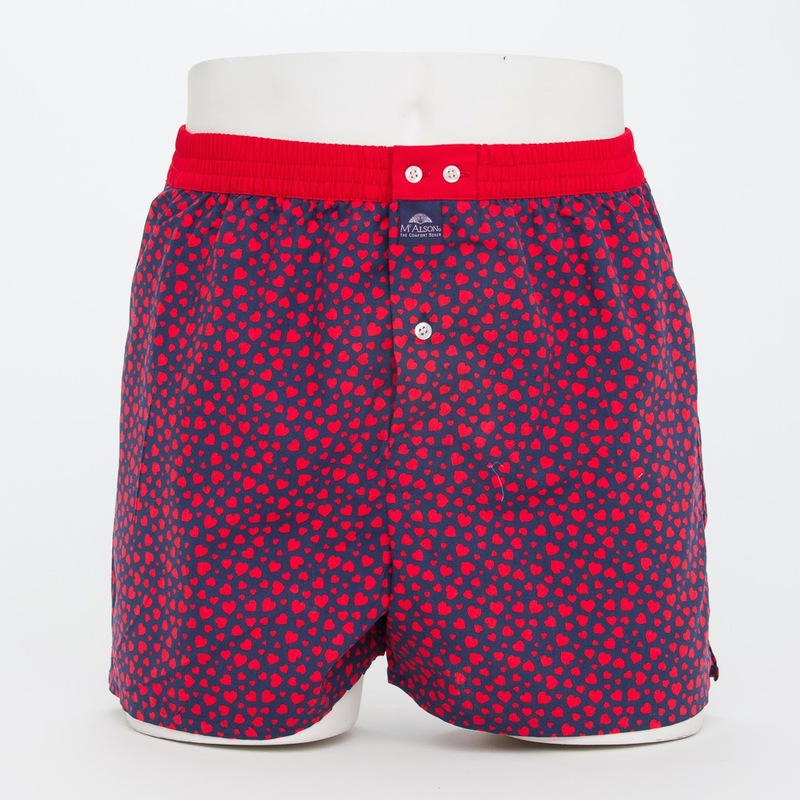 We can offer you 3 exclusive boxershorts,with a design specially made for Valentine's Day. We are giving them away separately, so there will be 3 winners! Gentlemen, this is the best opportunity to treat yourself with something amazing (we mean it, Mc Alson boxers fit like a glove!) for Valentine's Day. And ladies, this is your chance to have the perfect gift for your husband or boyfriend! The give away ends Sunday 9th of February 2014, 00.00 CET. 2. Describe in a comment down below how your ideal Valentine's Day looks like. These 2 requirements must be met. If one of them is missing, your participation will unfortunately be invalid. Don't forget to leave your name and e-mail address! We will announce our winners on our Facebook fanpage, February 10th. Here is Christophe's second outfit, as promised! I'm wearing a jacket from H&M and a printed T-shirt by Paul & Joe. My jeans are also by H&M. The shoes I'm wearing are Converse All Star and my belt is D&G. Hope you guys like it! Make sure to leave a comment and don't forget to follow us on Bloglovin'. Nino and I did some shoots at PFW back in June, but we forgot to post them. So we will be posting a lot of these the next few weeks! I'm wearing a black blazer from Topman and a dip dye T-shirt from Sisley. My jeans are by Filippa K. The shoes I'm wearing are Floris Van Bommel and the bag is Paul Smith, obviously! Hope you guys like it and enjoy your week! Leave a comment and don't forget to follow us on Bloglovin'!